After much anticipation, we are pleased to be carrying this unique local sea salt. 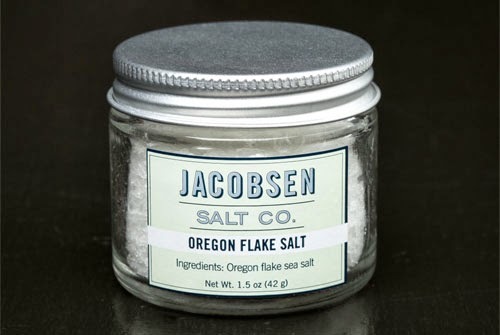 Jacobsen Salt is harvested from the frigid waters of Netarts Bay on the Oregon coast. It has a delicate, flaky texture and a clean flavor, balancing salinity with minerality. We have their regular flake salt, plus four infused salts: lemon zest, pinot blanc, pinot noir, and Italian white truffle.